Single high-excursion driver, dual 254-mm (10 in) balanced-plane, high-velocity passive radiators, built-in advanced Class-D™ amplifier, USB Port / PBK Interface. 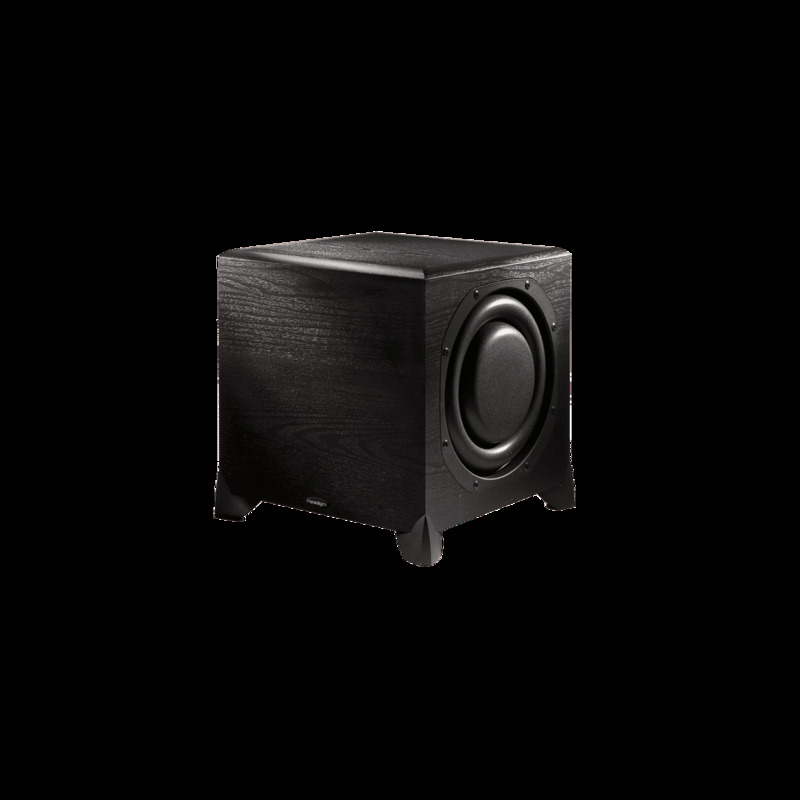 Power output is 1950 watts Dynamic Peak/650 watts RMS. 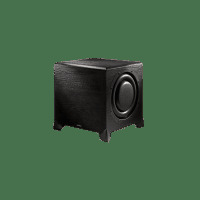 Given the light weight of the UltraCube 12 subwoofer, I thought I'd be disappointed in its performance... the UltraCube 12 provided a noticeable improvement in bass quantity. The explosions... were handled with aplomb, providing room-filling bass that belied the cube's small size. The bass quality wasn't boomy, but tight and punchy. Gunshots were well served by the taut bass emanating from the UltraCube 12.